our best wishes go out especially to the Moms and we look forward to seeing many of you in this fine month of May. We invite you to a leisurely drive out to rural Maryland and enjoy a visit to the historic railroad town of Brunswick on the Potomac River where the C&O Canal Towpath is just steps away. 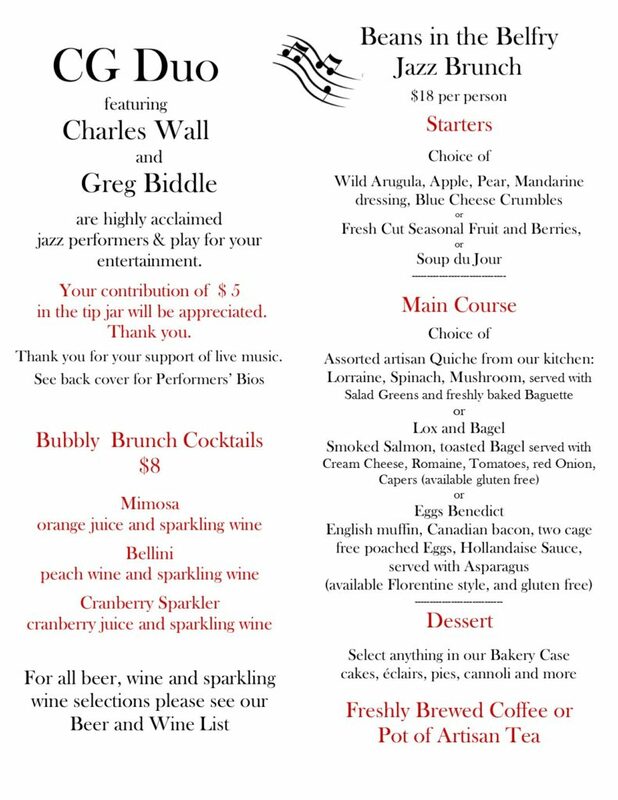 Our Mother’s Day Jazz Brunch will be served from 11am to 2pm and will be pleasing to moms of any age who enjoy an eclectic out of the ordinary experience of fine jazz, living room ambiance and delicious food. Let us reserve a table for you in advance. Tel: 301 834 7178 or customerservice@beansinthebelfry.com.